At an earlier meeting, State Sen. Tom Davis of Beaufort said that while doctors can prescribe the oil, there’s no way to legally get it in the state. Similar complaints of federal entities stalling progress exists in other states including Alabama, where Carly’s Law supporters blame FDA for stalling approval of study to treat severe seizures with CBD. The Birmingham-area’s Dustin Chandler, who helped to create the Carly’s Law legislation, posted an “Immediate Call to Action” on Facebook on Wednesday night in response to concerns about the Food and Drug Administration’s apparent lack of response in authorizing the study. “It has become very apparent the hold up with Carly’s Law study is the Federal Government, specifically the FDA,” Chandler wrote on the Carly’s Law Facebook page, noting there has been no response to UAB for 75 days. 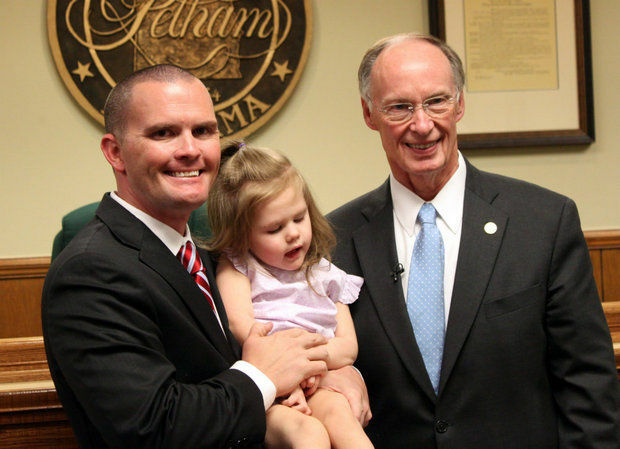 “That’s right, your children have been suffering for 75 days while the FDA ignores UAB,” he wrote. 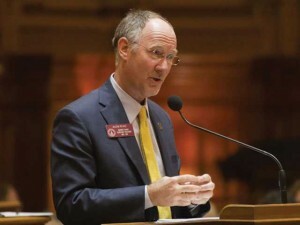 In an interview on Wednesday night, Chandler said he wants to see Alabama’s federal lawmakers push the FDA into action. “We understand there are pressing issues, but the lives of our children are more pressing than any other issue they’ve got on their plate,” Chandler said. While challenges still exist pushing through bureaucratic systems, some across the country continue to push to fill the void and meet the growing demand of parents and families looking for immediate relief. The Stanley brothers, a five-brother operation in Colorado producing a cannabis-based oil used to treat children with severe epilepsy, is expanding to meet this growing need. Amid a newly formed hemp industry in Colorado and their massive new facility in marijuana-friendly Uruguay, Stanley Brothers Social Enterprises plans to massively expand by summer 2015, possibly allowing it to eliminate a 12,000-person, worldwide waitlist for the therapeutic oil. Recently, 250 people were told they would soon start getting the oil, called Charlotte’s Web after a Black Forest girl who suffered debilitating seizures before she began using the oil. By the end of January, the brothers plan to supply the oil to about 3,500 people in Colorado and California – a seven-fold increase that would eliminate current wait lists in each state, said Jesse Stanley, one of the brothers. The new recipients include Tripp Oliver, 6, whose mother moved with him in April from Georgia to Colorado seeking the oil to help with grand mal seizures that hit him once or twice a week. He has been on the list about a year – a wait that ended Tuesday night with an email. In short: Tripp’s oil will be available for pickup in late December, said his mother, Laura Oliver. “We have been waiting for this for so long,” Oliver said. 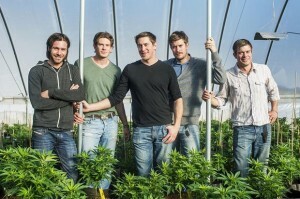 The brothers pioneered a technique to develop cannabis plants with low-psychoactive properties that were rich in cannabidiol, or CBD, a substance believed to provide relief for medical conditions such as epilepsy. It has been used by 500 people in Colorado and California and looks to grow substantially in 2015.